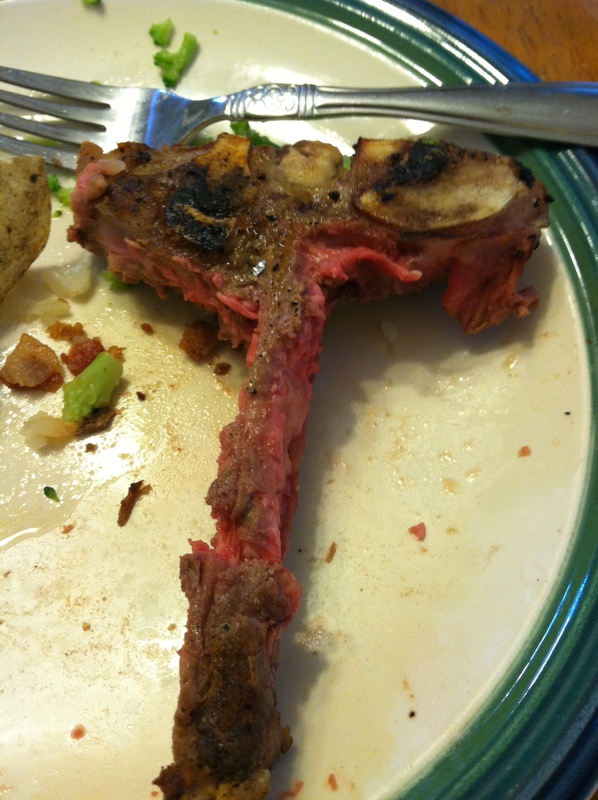 Once upon a dinner there was a beautiful steak named T-Bone. A sweet lady talked to him and gave him a lot of love. She gave him the gift of salt and pepper, and gave him a nice massage. 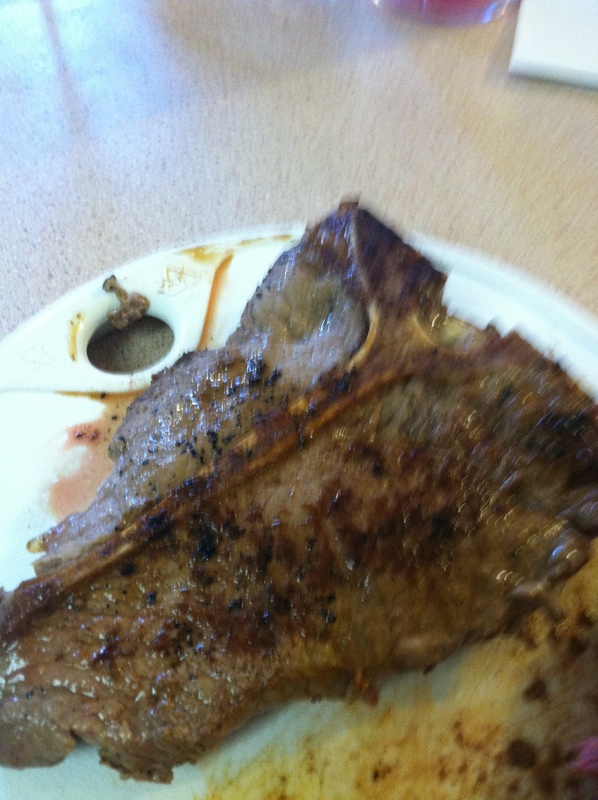 Then it got very steamy; she put him in a screaming hot cast iron pan, and cooked him for 6 minutes per side. It was hot, but he knew it was his destiny. She took him off heat and let him rest at least 5-10 minutes. She said he was so pretty and gave him a kiss. She put him on a pretty plate.